Outdoor speakers require a different approach, as the systems need to be capable of delivering a high quality audio standard in external conditions and locations. For the Vecta V240, Monitor Audio has mounted dual 4” C-CAM metal cone drives to the curved baffle to ensure a controlled sound field is delivered. 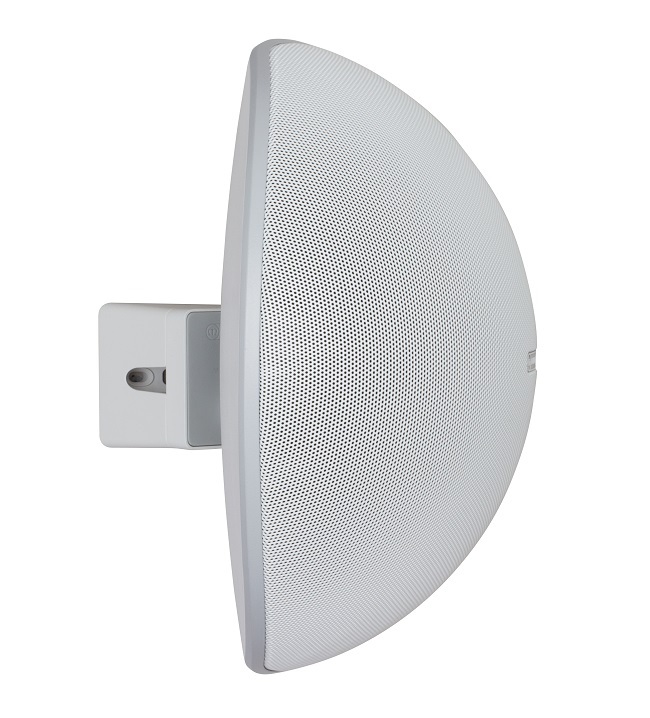 This minimises ceiling or wall reflections when mounted under eaves or in a corner, while still being wide enough for superior coverage when wall-mounted. The centrally mounted Gold C-CAM tweeter is horn loaded to ensure dispersion at the crossover point matches the mid-range, providing a smooth off axis frequency response. This approach results in the ultimate audio experience, with fewer audio black spots.